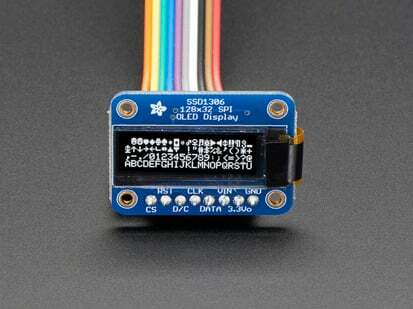 These displays are small, only about 1.3" diagonal, but very readable due to the high contrast of an OLED display. 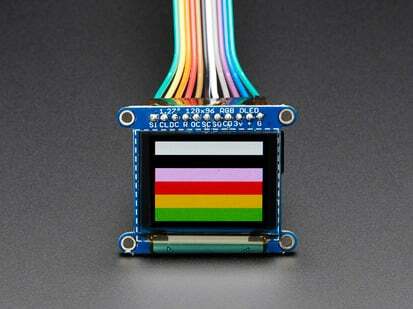 This display is made of 128x64 individual white OLED pixels, each one is turned on or off by the controller chip. 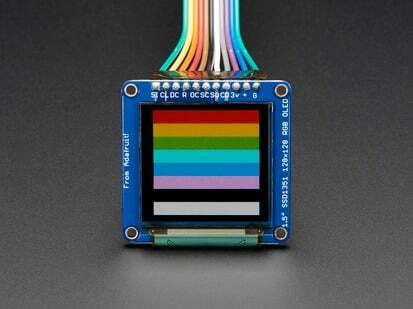 Because the display makes its own light, no backlight is required. 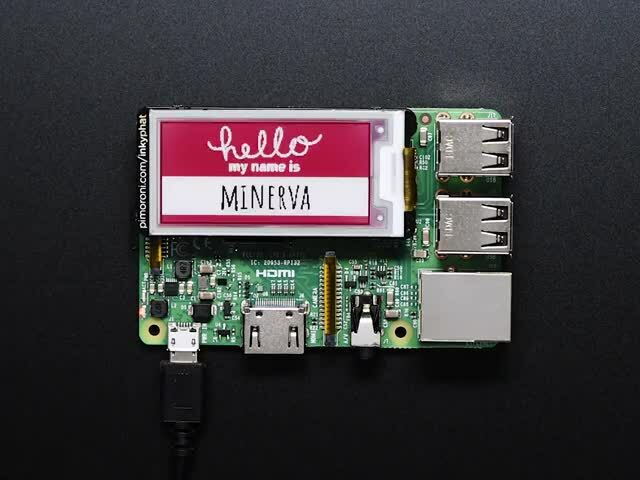 This reduces the power required to run the OLED and is why the display has such high contrast; we really like this miniature display for its crispness! 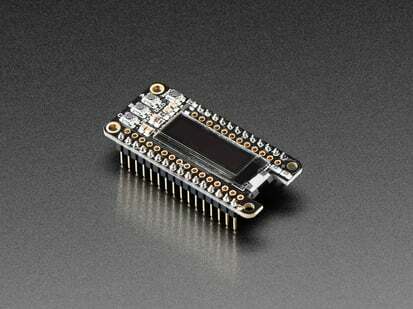 The driver chip, SSD1306 can communicate in two ways: I2C or SPI. 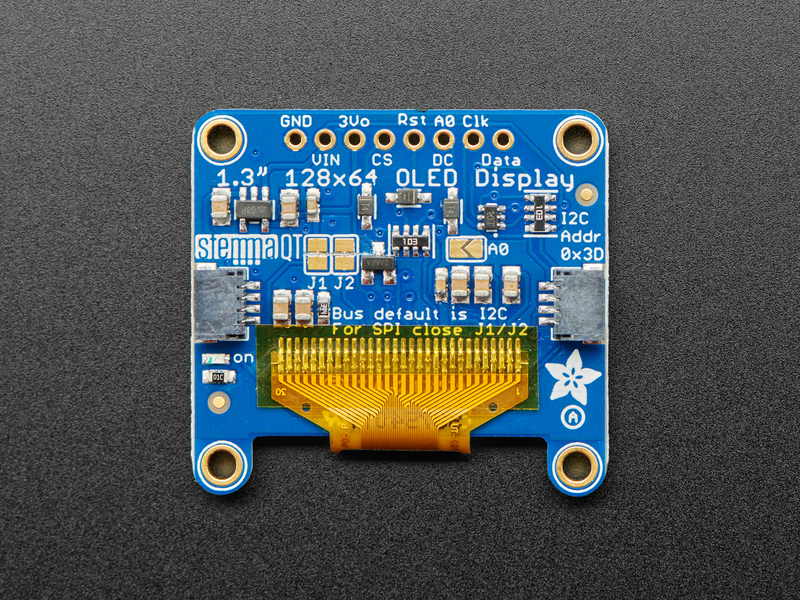 The OLED itself require a 3.3V power supply and 3.3V logic levels for communication, but we include a 3.3V regulator and all pins are fully level shifted so you can use with 5V devices! 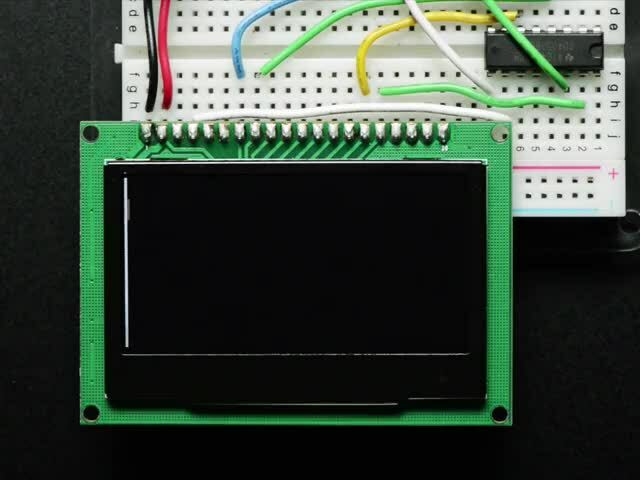 The power requirements depend a little on how much of the display is lit but on average the display uses about 40mA from the 3.3V supply. 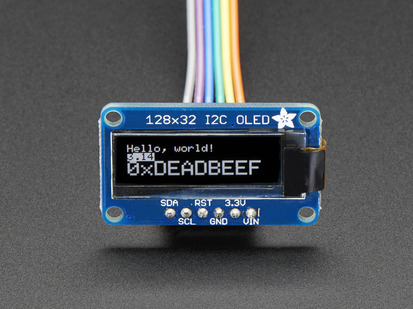 Built into the OLED driver is a simple switch-cap charge pump that turns 3.3v-5v into a high voltage drive for the OLEDs. 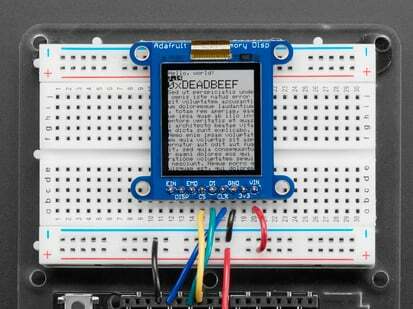 We have a detailed tutorial and example code in the form of an Arduino library for text and graphics. 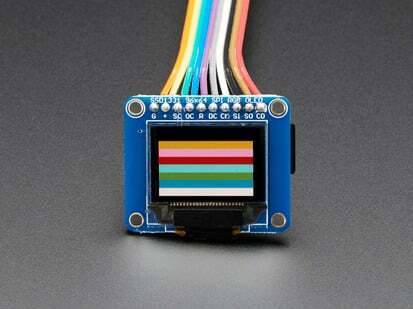 You'll need a microcontroller with more than 1K of RAM since the display must be buffered. The library can print text, bitmaps, pixels, rectangles, circles and lines. It uses 1K of RAM since it needs to buffer the entire display but its very fast! 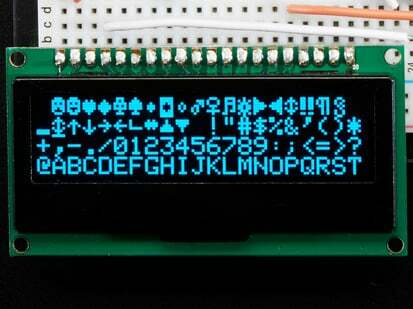 The code is simple to adapt to any other microcontroller. PCB: 35mm x 35mm x 5mm / 1.4" x 1.4" x 0.2"
Mounting Hole Dimensions: 29.5mm x 29mm / 1.16" x 1.14"
Mounting Hole Diameter: 2.5mm / 0.1"
Screen: 23mm x 35mm / 0.9" x 1.4"
Display current draw is completely dependent on your usage: each OLED LED draws current when on so the more pixels you have lit, the more current is used. They tend to draw ~25mA or so in practice but for precise numbers you must measure the current in your usage circuit.